Left on the bookshelf: "Blacks, Reds and Russians "
The story of the United States occupies a unique place in world history because of its growth and shaping by immigration. The immigrants were the unsatisfied natives of their home countries. 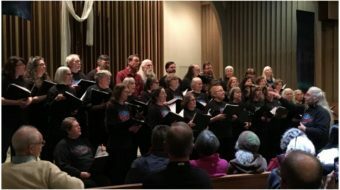 This included the earliest pilgrims whose religious observances did not fit with those of the English aristocracy as well as German “48ers” who fled the persecution of the ruling class after a failed people’s revolutions. The building of America by these rebels is an inspiring story. 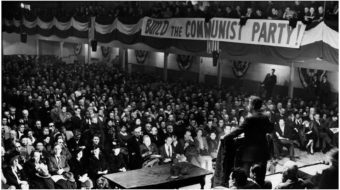 There is a much less known story of another group of immigrants who sought freedom and opportunity, but it wasn’t to America but to the Soviet Union that they fled. Their story is documented in the book: Blacks, Red, and Russians. 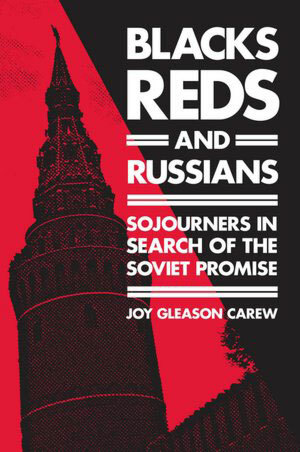 Sojourners in Search of the Soviet Promise by Joy Gleason Carew. Although authored by an academic and published by a university press, the book does not read like a dry anthropological study of an unrecorded subculture. It is, in fact, a colorful account of the adventures, challenges and triumphs of a group of unique and forward thinking African-Americans whose courage, idealism, and in many cases, simple survival instincts led them from the land of their birth to a new world few knew much about. Obtaining any accurate information regarding the history and culture of the Soviet Union from western sources is difficult indeed. Thankfully this particular volume of Soviet history proves to be an exception, and contains none of the usual hysterical anti-communist canards that are all too familiar, and can be so problematic for the American reader. The exploration of the motives of the sojourners often leads us to an understanding of the barriers to professional and personal advancement not only in the Jim Crow South but also in the U.S. as a whole. Through the stories we learn that these individuals did not seek egotistical self-aggrandizement, but rather the opportunity to go as far as their talents would take them in a society that made the eradication of racism one of the hallmarks of its foundation. Joy Gleason Carew’s vivid profiles of the sojourners put us in the time and place of their pilgrimage. One can almost see George Tynes, American citizen turned Soviet, as he shuttles between Soviet Georgia, Estonia and the Ukraine and finally to Moscow, where, in his retirement, he proudly trod the streets wearing the medals bestowed upon him by the Soviet state for his achievements in fish and poultry breeding. It was his talents that led the USSR to win first prize at a European agricultural exhibition in the 1950’s. 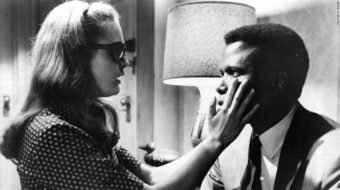 Carew puts us in the footsteps of actor Wyland Rudd, who became the first black man to perform the role of Othello in Russian. These are intensely human stories, filled with joy as well as hardships and sometimes great humor. The amusing anecdotes often take the form of “fish out of water” culture clashes between the recently arrived immigrants and the Russians whose knowledge of America at the time was limited at best. The description of the farcical failure of the Soviet attempt to produce a film, shot in Russia and starring African-American actors, and meant to portray a strike at a Southern US steel mill is worth a book all its own. Readers can be grateful that this unique intersection in U.S. and Soviet history, as well as the African American experience, has been properly recorded and is available for the enjoyment of the reader as well as the study of the student and academic alike.